The race will be held Saturday August 25th. We will have dinner (hamburgers and hot dogs) before the race, around 5:30 PM. 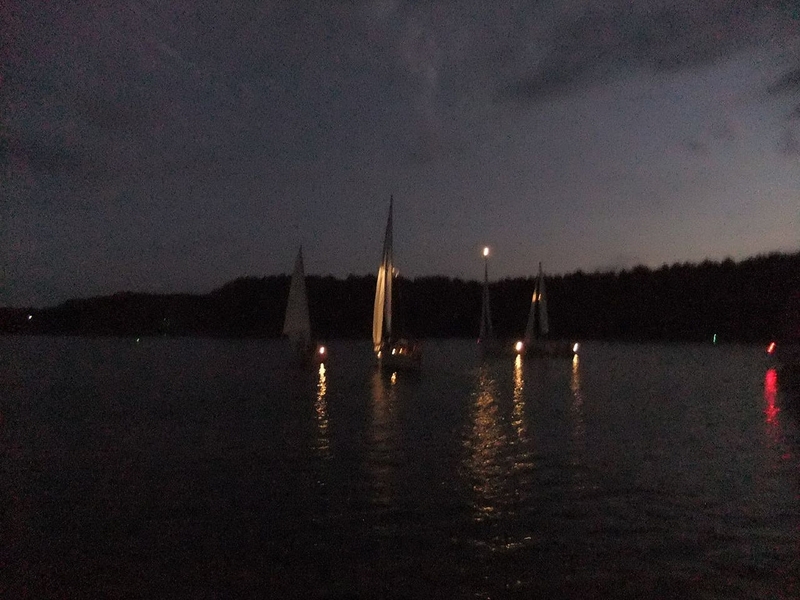 The skippers meeting at 6:30 PM and then start racing between 8:00 and 8:30 PM. A great opportunity to raft up after the races. There is no entrance fee for this race. Come on out and have some fun by the light of the silvery moon.